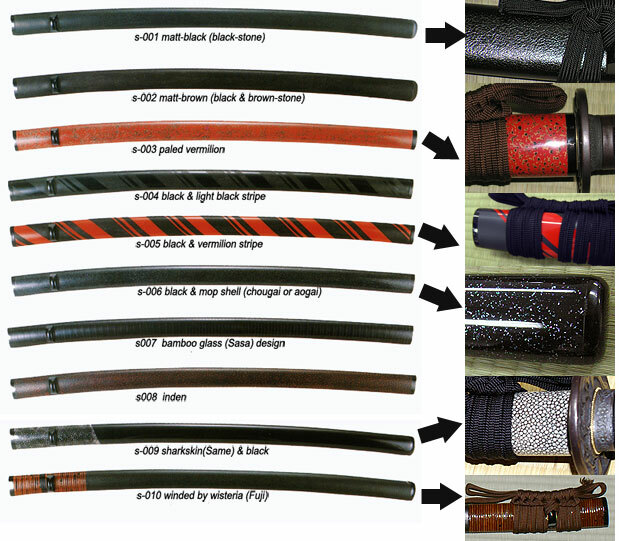 We are able to provide new "Shinken sword" that mean a real authentic sharpened Japanese sword. It takes roughly eight or nine months to make one Shinken sword. (at the current rate that is roughly 45,000 US Dollars). to 2,200,000JPY (that is roughly 22,000 US Dollars). For example, it was "Mukansa prize" . Mainly our swords-smith was "Noshu Bugei hachiman Kanekuni (Kanekuni Ogawa)"
Then,now We request the son of Kanekuni Ogawa, because he is genius swords-smith too. He won "Mukansa prize" same as his father"Kanekuni Ogawa" too! He is active in the front lines in the Tokyo. Pictures of Shinken swords made by "Noshu Bugei hachiman Kanekuni[Kanekuni Ogawa]"
We will ask our Swords-smiths "Mitsutoshi Ogawa" to estimate the cost and contact you. Of course then we will negotiate with him about the price discount. It is impossible for you to buy it and bring it out from Japan soon. You must apply permit of export Shinken sword to Japanese Agency for Cultural Affairs. Reason of need the permit is every Shinken sword is Important Cultural Properties for Japan. We started to provide existing swords that had been owned by someone in sometime from the ancient time as of today. Please check these Shinken swords too!! 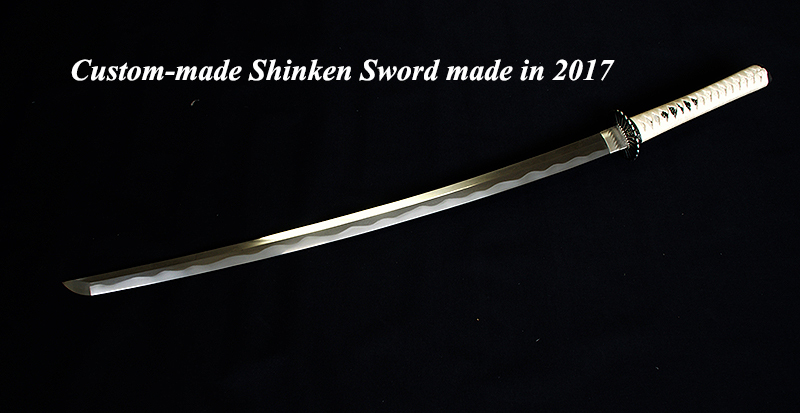 We have the most popular question asked about guarantee on our Japanese Shinken sword, When our customer order his custom-made Japanese Shinken sword. But, Japanese Shinken sword is a work of art and Japanese cultural property. It is not industrial product. then, every Japanese Shinken sword have never a written guarantee. For example, does oil paints painted by painter have have a written guarantee ? We are able to guarantee on who is swords-smith that he is skillful(for example, he won Mukansa prize). Because every swords-smith engraves his name on the Nakago of the blade, when he is forging and making the blade. Then, no dealer of Japanese Shinken swords guarantee on their Japanese Shinken sword. Shinken is a unique item strictly depending on ability of the sword smith. It is "full-custom-hand-made" sword and expensive. Then customer can not request the specification correctly like industrial products. It is like "art" of swords-smiths. Then the quality and design must depends on the skill of swords-smiths. Customer must entrust it to swords-smiths. Moreover the customer must pay the cost in advance. Many Japanese customers can order it, after then understand and accept it. Then if the quality and specification is a few diferent from the request of customer, no one have complaint. If the customer can not understand and accept it, We don't received the order from the customer. 11. Any other your desire. When you will inform me the specification, We will ask our Swords-smiths "Mitsutoshi Ogawa" to estimate the cost and contact you. Japanese swords are made primarily of two different irons, known as "Tamahagane" and "Hochotetsu". 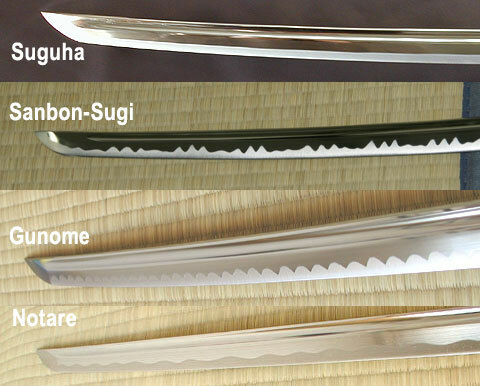 Tamahagane is the strongest iron but it is also very rare, Hochotetsu which is more readily available, is generally used for items where durability isn't as crucial, like a kitchen knife. These ores are both extracted from iron sand which is found mainly high in the mountains. With special equipment called a "Tatara" using as little heat as possible and a great deal of time the iron is finally extracted. Even after this lengthy process, only a small amount of Tamahagane, is extracted so Tamahagane can be very expensive. Tamahagane is so rare and costly that it is normally added by "Oroshigane". By creating an alloy of different metals of varying density, most commonly a mixture of Tamahagane and Hochotetsu, the cost of producing a katana is much lower without sacrificing quality. Japanese katana is made of two different hardness irons, the outside is the hardest iron containing Tamahagane, which is called "Hitetsu", and the inside is called "Shintetsu" used less hard iron. And using two different irons, soft inside and hard outside, makes Japanese swords "hard but unbreakable". Heat the Tamahagane and Oroshigane with very hot fire to forge it. Strike and stretch it with a hammer and fold it into two. It requires high technique because when you fold the iron, you must not put air in between. Continue those works many times to make the iron harder and purer. When you fold the iron ten times, the layers will be 1024. Then, forge the iron for Shintetsu by the same process as the Tamahagane. Attach the Shintetsu and the Hitetsu. And strike it with a hammer to make the shape of Katana. Put "Hamon" on the Katana with a spatula. Heat the Katana with very hot fire. Cool the Katana by putting it into cold water. This work is called "Togi", and done by the specialist of Togi. It takes one month. At this stage, the katana becomes very sharp.